Anyone can draw! Let Mark Linley inspire you to pick up your pencil and create a magical masterpiece. His positive approach secures quick, accurate results and ever-growing confidence. Learn to look properly and get basic outlines correct. 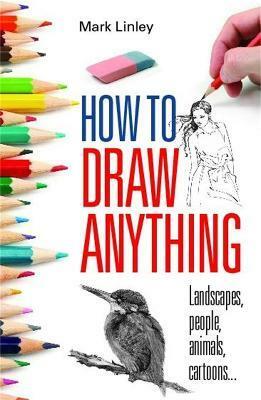 Follow with the key features and finer points that transform a drawing into a collector's item! Tackle landscapes; discover simple ways for buildings; be up to scratch with cats; "capture" wildlife. Move on to people, with stunning likenesses or cartoon caricatures. Pull it all together. In no time at all, you will be an expert!